Thank you for submitting your item for appraisal. 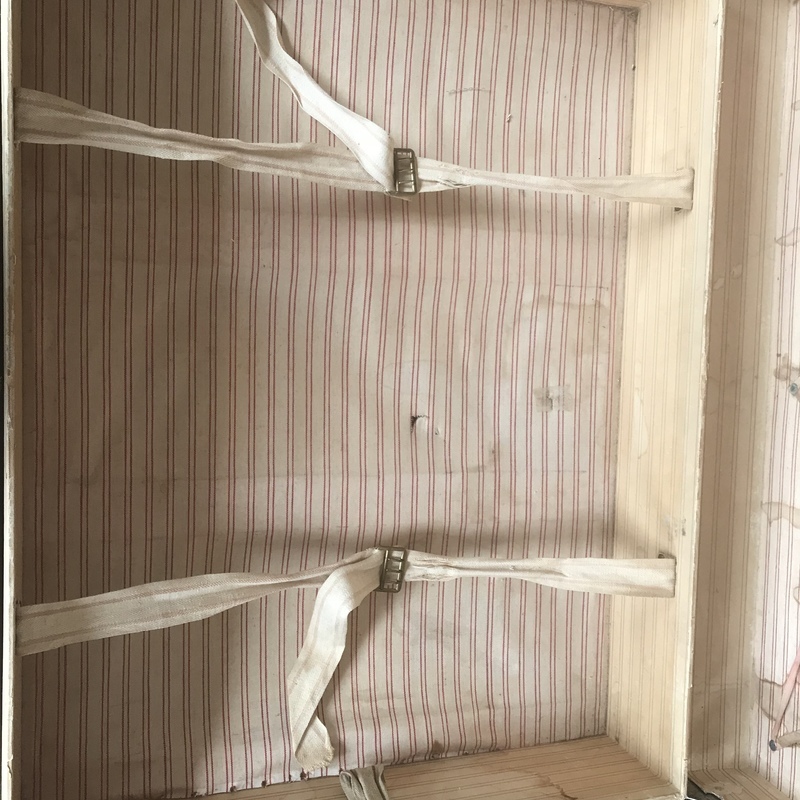 This appears to be an early Louis Vuitton trunk, with the original label inside, with the London Oxford Street address, brass lock, iron bands, canvas decorated with Stripes, in vintage condition with damages to the canvas on the lid. The estimate is based on similar items sold at auction. "Asking prices" in the trade can be higher and vary.